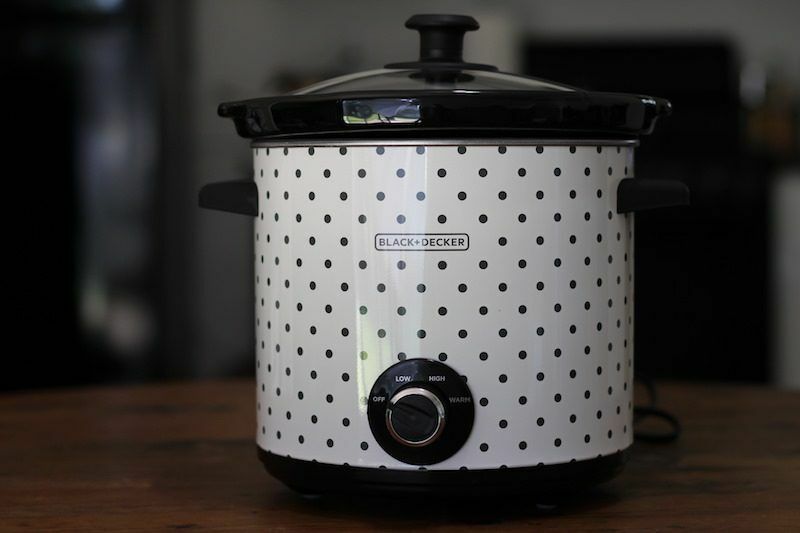 Black and white polka dots are not really my style, but after looking at black, silver, and red slow cookers all day, I figured, why not, let's check out the Black & Decker Round 4-Quart Slow Cooker. It's perfectly small for small kitchens or someone cooking for 1/2 people, and very cheap compared to some slow cookers with more features. The simple features, low price, and funky colors will be perfect for someone – is it you? 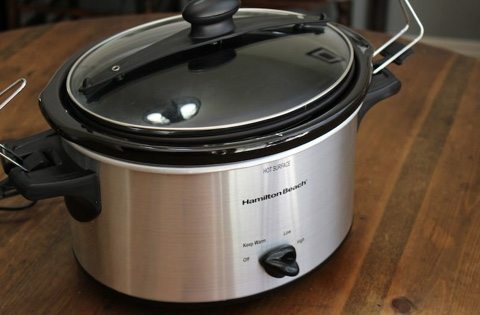 This is a very basic slow cooker, with very basic features. I mean, who really needs fancy settings like simmer or sizzle, and automatic timing. 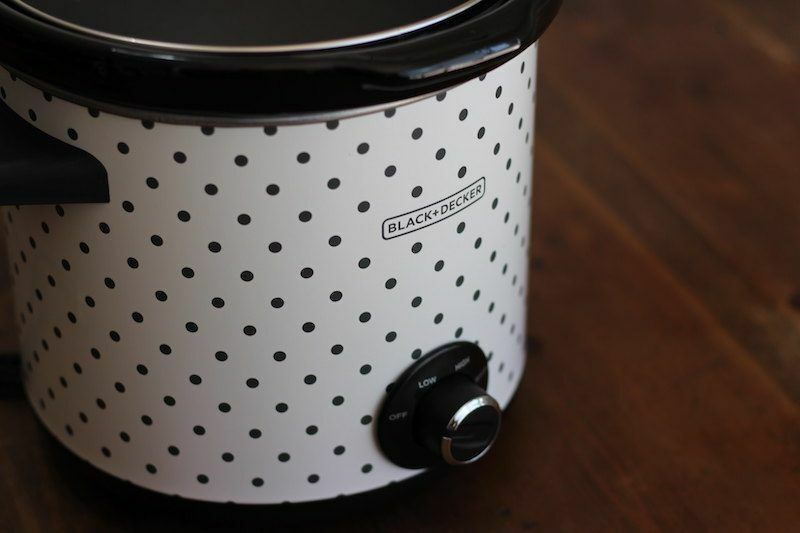 Slow cooking is supposed to be simple, and that's exactly what this 4-quart slow cooker from Black & Decker accomplishes. It's got a low, high, & warm, setting, because that's all you really need. The cooking material is stoneware, so it's dishwasher safe, and the lid is dishwasher safe too. That means easy cleanup! I also like that this style of cooker does not have a rubber seal around the lid which can absorb flavors over time and need to be replaced. The Black & Decker SC1004D is a 4-quart cooker, meaning it's a smaller size than the typical 6-quart style you often see. It's also round, so will save on counter space since it's got more height than width. The most striking feature of this slow cooker is the design. 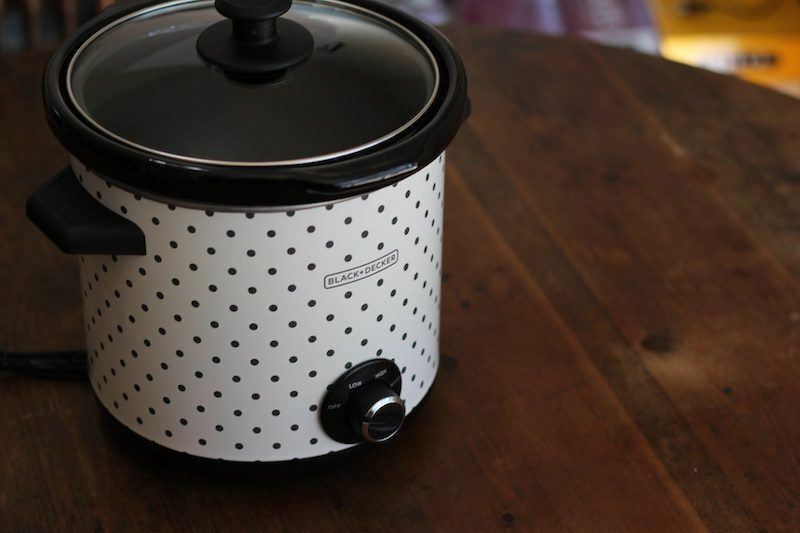 The polka dot design is not something I've ever seen in a slow cooker, although there are quite a variety of colors and designs out there. Why did Black & Decker choose this color scheme? I'm not really sure. But it does mean that you can have a unique looking kitchen tool in your house without spending a ton of money on special order items. This would go great with a 50's style theme like the movie Grease, or a more traditional looking kitchen. 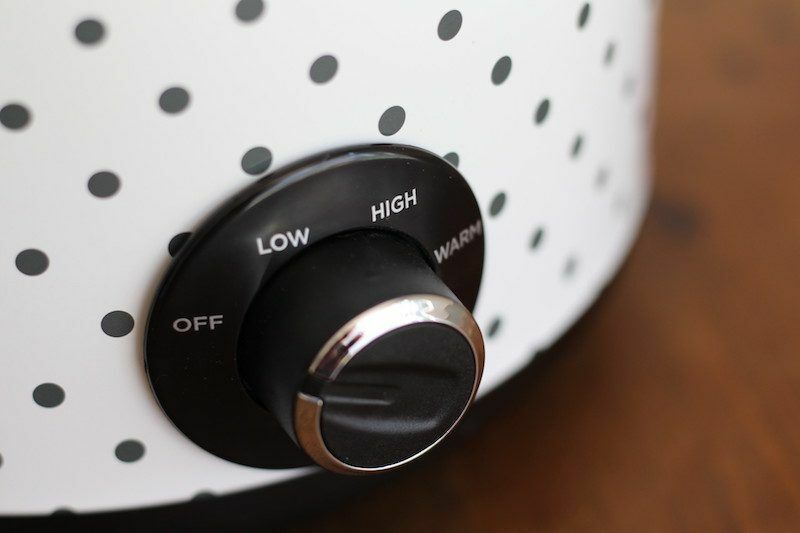 Even if you're just in college and have mismatched appliances, the polka dot scheme could add some flare and make your kitchen look funky and intentionally designed. 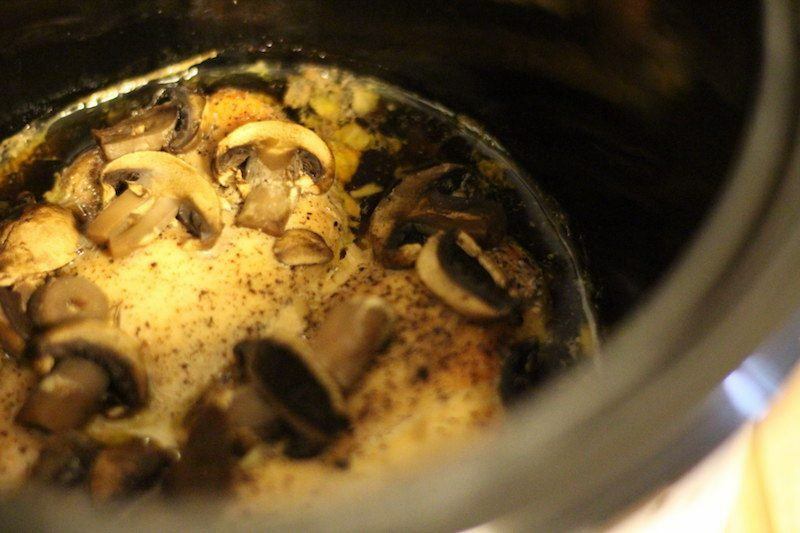 To test out the Black & Decker Round 4-quart slow cooker for this review I made a Chicken Mushroom Marsala with Belgian Blond Beer. It was an experiment using beer instead of wine in this pretty standard recipe. The resulting dish was of course delicious! I think I liked the beer better, but I'm a beer guy. 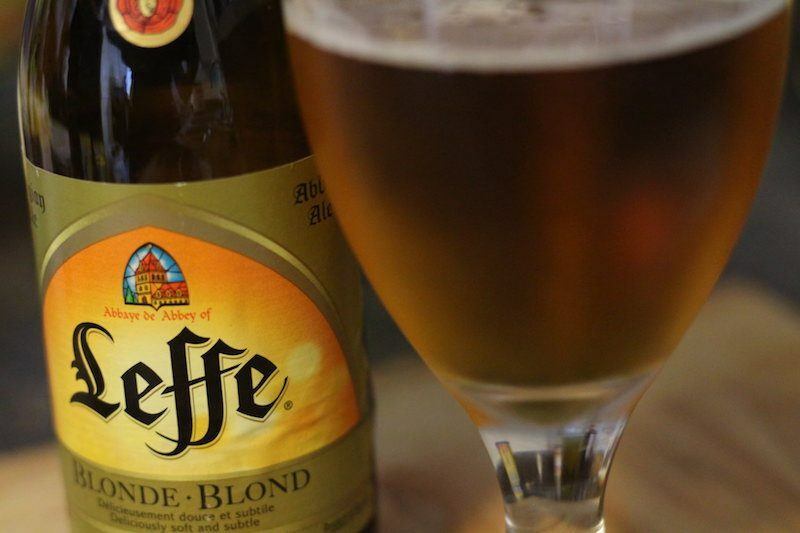 It was a good excuse to drink some imported Belgian beer and try out a new recipe. The slow cooker itself performed as expected. I was able to just toss everything into the pot and set it for a couple hours, then come back to thicken the sauce with corn starch just before serving. One thing I did notice was just exactly how small the 4-quart round pot is. I cooked two chicken breasts and that pretty much filled the bottom. If you were to cook more than a couple breasts the pot would start to get crowded very quickly. This type of pot is definitely going to be best for someone cooking for one or two people, or for sticking with soup style meals, like stews. I just don't think the 4-quart capacity is fully used for cooking dishes like chicken breasts or pork chops unless you are comfortable stacking them. I'd prefer an oval style cooker if you plan to make traditional style meals with your cooker. The round style cooker did work out with my tangy porter beef short ribs though. 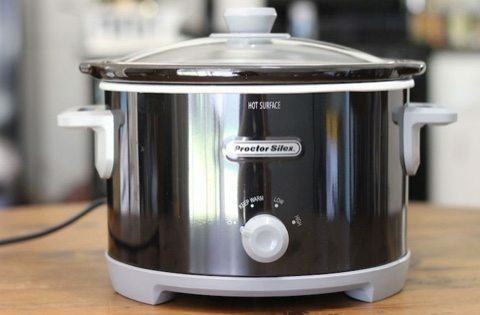 In all, there wasn't much of a difference between this cooker and any other budget slow cooker in terms of cooking quality. The main differences you're going to notice between this and other similarly priced models is the shape, which was discussed above. You can see comparable models with the oval shape in the chart below. Because of the round design, the funky color, and the not-unique features, the round Black & Decker SC1004D didn't make the final cut of my top 3 favorite cookers in the cheap price range. See which ones did! This wasn't a bad cooker by any means. In fact, it performed just as good as some of the more expensive models I've tried. If you do like this cooker, I wouldn't hesitate to recommend it. 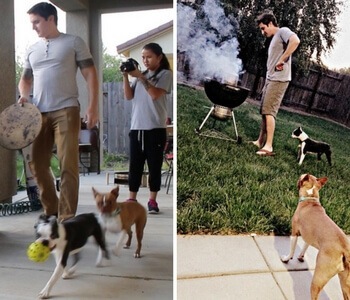 I just personally thought that these other ones were better. 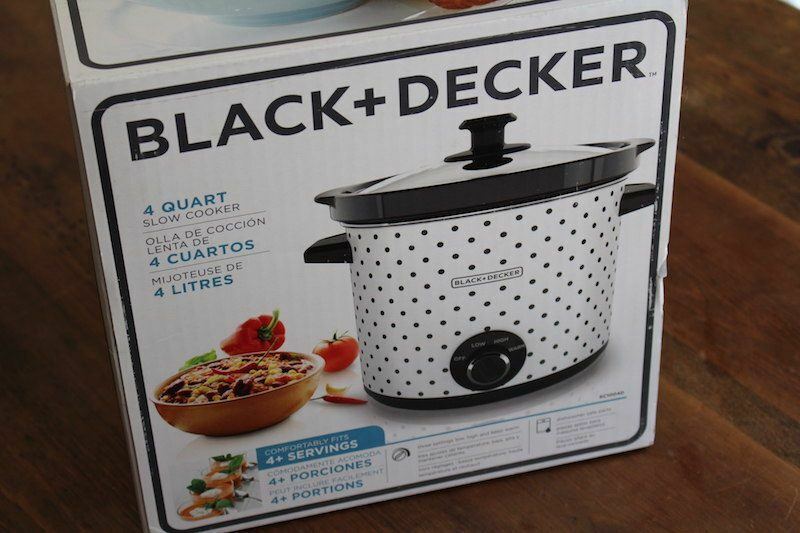 Who Is The Black & Decker Round 4-Quart Slow Cooker Best For? This slow cooker is going to be best for someone with a small kitchen, and cooking small meals. As mentioned above, though 4 quarts does seem like a lot of food, you don't really get to utilize the entire pot unless you're making a stew or soup. If you have a taste for something unique in terms of what type of kitchen devices you use, then the polka dots is another reason to buy. 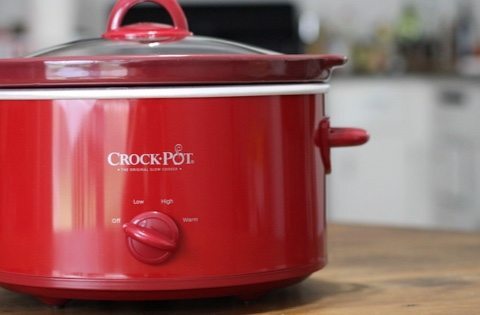 Finally, if you're just too lazy to do more research and want a small-sized, inexpensive slow cooker then there's nothing wrong with this one. 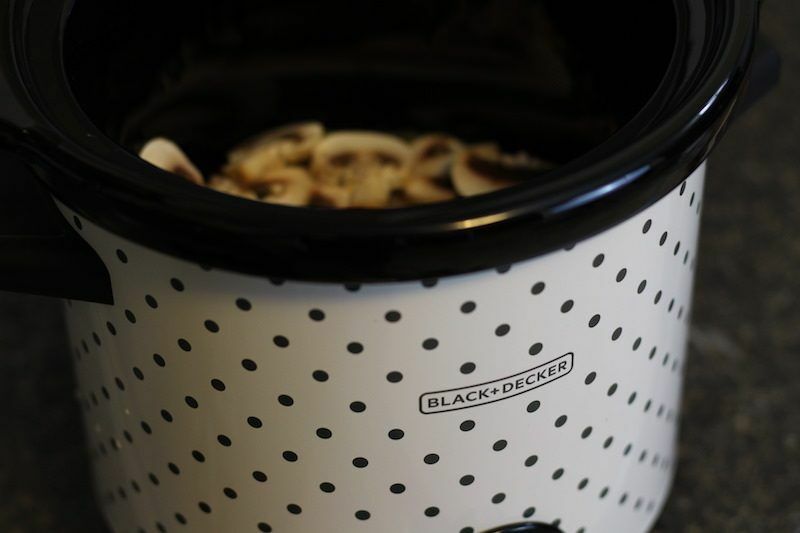 I liked the Black & Decker round 4-quart slow cooker! It worked as expected, and was appropriately priced for the features it has. But there are many choices in this size and price category, and I liked other ones I tested a little better.